Chicago Wolves forward Stefan Matteau was a few days shy of one month old when his father was traded from the Chicago Blackhawks to the New York Rangers. No one knew in March 1994 that the first-place Rangers’ acquisition of Stéphane Matteau and former Wolves player Brian Noonan would be so vital to the team’s first Stanley Cup in 54 years. In fact, Matteau’s father is immortalized in the annals of Rangers and Stanley Cup history. He was responsible for netting a double-overtime goal against eventual Hall of Fame goaltender Martin Brodeur in Game 7 of the Eastern Conference Final. As any good hockey fan knows, the Rangers went on to win the Cup and the Matteau name was forever etched on the chalice. The elder Matteau earned the NHL’s pinnacle achievement at the midpoint of his career — he skated two seasons (1988-90) in the International Hockey League and then enjoyed a 13-year NHL career before retiring as a member of the Florida Panthers organization in 2003. All the while, the younger Matteau was beginning to carve out his path to professional hockey – a path that included becoming an early NHL Draft pick just like his father. Stephane was drafted early in the second round in 1987 while Stefan went late in the first round to New Jersey in 2012. Some of Matteau’s earliest memories involved traversing NHL dressing rooms and being welcomed with open arms. As a matter of fact, when the Wolves traveled to San Jose in January to face the Barracuda for the first time, Matteau made sure to stop by the parent club’s dressing room and say hi to his old friends. San Jose was just one of five cities that the Matteaus called home through the duration of Stephane’s NHL career. The family of four also planted roots in St. Louis, Sunrise, Florida, and, of course, Stefan’s birthplace: Chicago. Becoming a professional hockey player involves a lot of choices. One of the choices Stefan made early in his amateur career was accepting an invite to the USA Hockey National Team Development Program based in Michigan. For two years, Stefan trained with his equals and represented his country in a number of tournaments, including the World Under-17 Hockey Challenge and several Nations Cups. American players dream of representing their nation in the globe’s most popular amateur tournament: World Juniors. The NTDP, where Matteau played two seasons, was designed specifically to help the U.S. groom players for such tournaments and make the country competitive in those events. 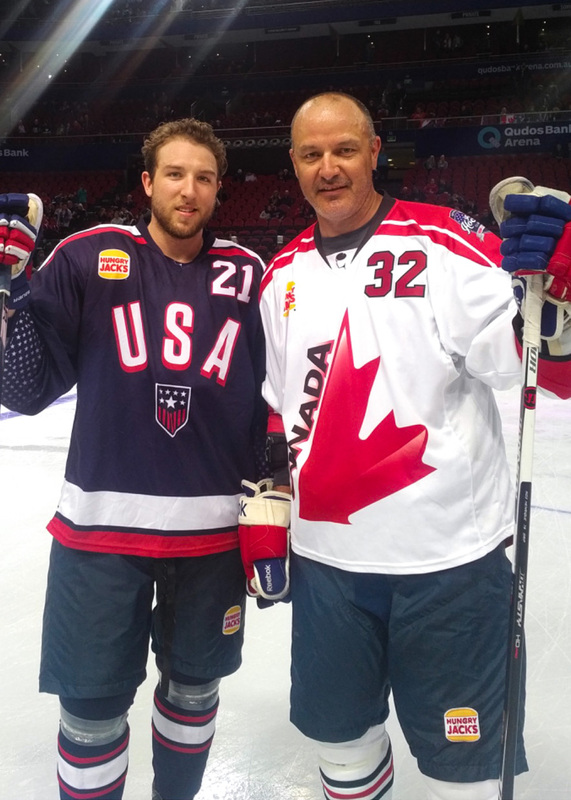 However, the privilege of representing the United States is not guaranteed, and Matteau found that out firsthand as he was left off the tournament roster following his first U.S. World Juniors training camp in 2012. The U.S. won gold that year, just its second in tournament history. But Matteau’s World Junior disappointment was short-lived as days after the end of the event, the NHL and the NHLPA came to an agreement and the NHL resumed play following its second lockout in a decade. Teams were scrambling to recoup players from their temporary teams and solidify rosters for an abbreviated season set to begin on Jan. 19, 2013. That’s when Matteau got the call from New Jersey. The Devils wanted to give the 18-year-old an immediate opportunity. Matteau made his NHL debut on Jan. 19 against the New York Islanders and spent the remainder of the 2012-13 season with the Devils. 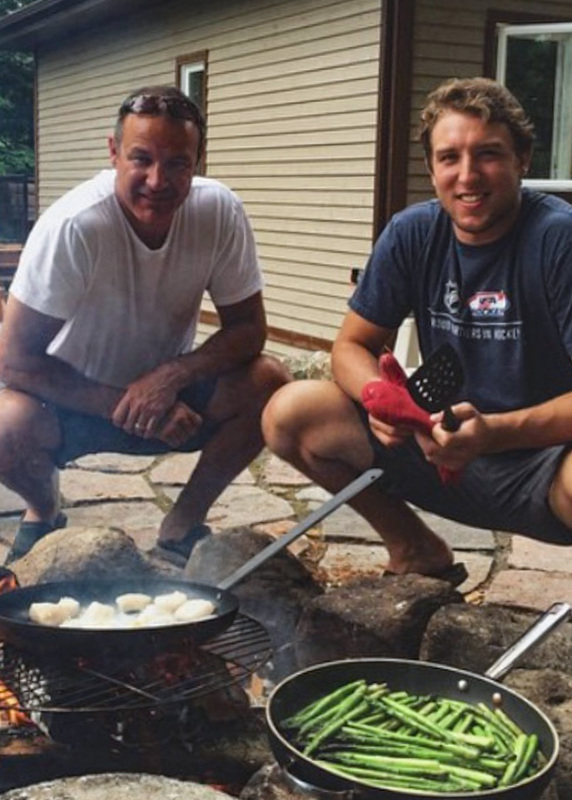 Five years later, Matteau continues to follow the family’s path. In addition to spending most of this season with the Wolves, he earned a two-week stretch with the NHL’s Vegas Golden Knights. While he has enjoyed the ride and the achievements along the way, it’s no secret which goal excites him the most: breaking into the NHL full-time for a chance to put the Matteau name on the Stanley Cup again.